We have previously reviewed a few Lovett Pies, one of which fell into our 'Pierate Highly Recommended' category. We also chatted to them on Bristol's BCfm 93.2fm about their pies so it is about time we reviewed some more! Before we were impressed with the Capacity of these pies. They were small but mighty, being packed with Content. One intriguing thing about these pies is that they can also be eaten cold. This is an often overlooked feature of a pie. As if a pie wasn't an already convenient, portable snack it is even better when you can shove one in your bag for later when you feel a bit peckish. 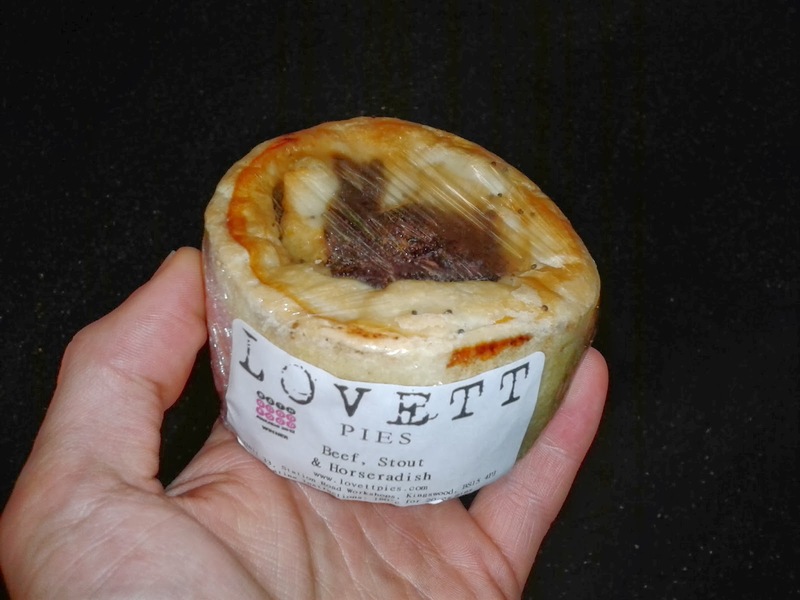 Why this was especially interesting in the case of Lovett Pies is that they have a brilliantly firm pastry. This made me optimistic that it would hold together well. To test this out I shoved a Beef, Stout & Horseradish pie in my backpack for a train journey from Gloucester to Wakefield. As you would expect, the pie got bounced about a bit. As a Pierateer an occupational hazard from transporting pies is that they crumble up in your bag. However, upon alighting at Wakefield this pie was still in fantastic Condition, despite only being wrapped in cling film. Surely one of the most durable pies on the market! 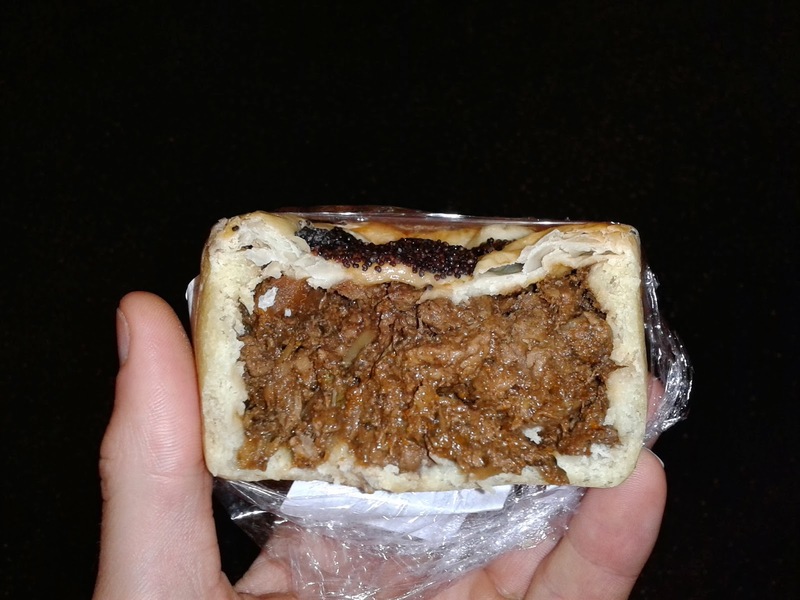 Taking a bite, I found that this is what cold pies should be like. It really was a perfect snack! As with the other Lovett Pies there was no runny gravy which in this instance made the pie even more suitable as food on the move. This one still had plenty of moistness to it preventing it being at all dry. Despite being cold the pastry tasted great. Softer than the cooked version but somehow it still had a bit of crunch in places. The filling was fantastically meaty, being absolutely packed with beef. However, there was still room for veg with some pieces of carrot adding a bit of sweetness. The Stout added plenty of flavour whilst the horseradish taste wasn't strong but gave it a slight kick. It was nice that this made it a bit different, certainly not your standard steak and ale pie. Lovett Pies have a knack of doing things a bit different. This is probably the best cold meat pie I have ever had, I really recommend trying this option out.